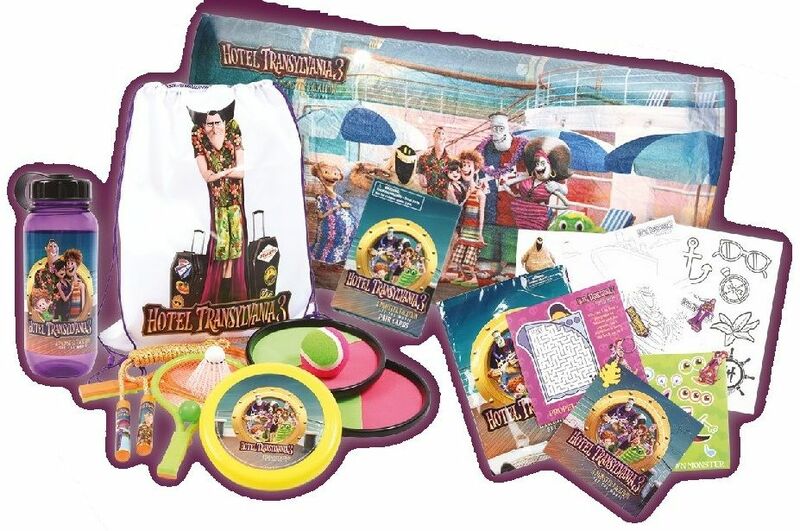 TEN LUCKY READERS WILL WIN A HOTEL TRANSYLVANIA 3: A MONSTER VACATION MOVIE HAMPER WORTH R760! We super excited to see the new animated movie Hotel Transylvania 3: A Monster Vacation opening in cinemas countrywide on 31 August 2018! Mavis surprises Dracula with a family voyage on a luxury monster cruise ship so he can take a holiday from running everyone else’s holiday at the hotel. It’s smooth sailing for Drac’s Pack as they enjoy everything from monster volleyball to getting moon tans. But the dream voyage turns into a nightmare when Mavis realises Drac has fallen for the mysterious captain of the ship, Ericka, who hides a dangerous secret that could destroy all of monsterkind. TO ENTER GET YOUR AUGUST 2018 ISSUE OF NG KiDS ON SALE NOW!